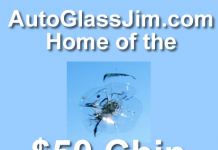 Home Auto glass repair You have a broken windshield, what should you do? You have a broken windshield, what should you do? So, you’re driving down the road, maybe listening to a little Steely Dan–guess that shows my age doesn’t it?–and suddenly a rock flies up from nowhere and hits your windshield! Jeez, it scares the hell out of you! Ok, no big deal, that’s what insurance is for, right? So let’s go through the steps of what to do next. First chance you get, take a look at the break. Is it just a small chip without long cracks coming out of it? It could be your lucky day, you must be living right! Most rock chips can be repaired if they are taken care of right away. 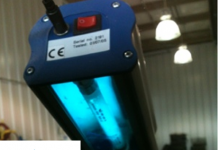 Here are some examples of rock chips that can be repaired. Yours will probably look different, but this will give you an idea of what kind of chips are repairable. The next thing to do is call your insurance agent and tell her that you have a windshield chip and want to get it repaired. Ask her if they pay to have it done, chances are they will. She’ll probably have some recommendations of where to go or you can check online for windshield repair shops in your area. Just go to Google and enter “windshield repair shops near (your zip code). I would suggest that you choose an auto glass shop or a shop that specifically does chip repairs, not a place that does oil changes or transmission repair. Anyone can buy a repair kit and start doing repairs right away, but it takes a lot of practice to do it right. Once someone has worked on your windshield chip, it can’t be worked on again, so you want to get it done right the first time. 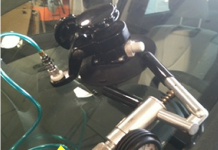 Next time, we’ll talk about what to do if your windshield isn’t repairable.